Whether you are traveling for business or for pleasure, it is always an added stress. The extra UV and radiation exposure on flight, the re-circulating air, and forget about trying to stay on a diet…traveling can wreak havoc on your skin, your immune system and your digestive system. There are select supplements the Practice Vitality team agrees that are important to have and carry- they help to boost your immune system, stay healthy and ward off the next cold/flu. source of Iron. Generally, 500 mg twice daily is the standard recommendation. We like to use it for joint pains, allergies, and other digestive complaints, like inflammatory bowel disease (IBD). Studies have also shown turmeric can help reduce the risks of various cancers, including colon and prostate cancer. Vitamin D– most of us (unless you are an athlete and is always outdoors), have Vitamin D deficiency parts of the year. Those who are 50 years or older , or have gut problems are at a even higher risk due to the body’s decreased ability to absorb Vitamin D. Its important to go to your physician to get your D level checked. Proper Vitamin D is critical to elevate your mood, fight off infections, and of course, keeping your bones strong and healthy. See our past post on which Vitamin D supplements are best. With summer in full force and everyone running outside in search of their sun-kissed tan, the risk of sunburn and skin damage is even higher. Here are some tips that can help you keep your skin healthy and young while still getting a beautiful tan. Your tan comes from the melanin produced by your cells that gives you the skin’s dark pigmentation. It tasked time for your cells to increase melanin production, so the best way to protect your skin and get a tan is to limit your initial day of tanning to less than an hour ( or 15 minutes if you have a fair skin). The skin on your face and around your eyes are the thinnest and most sensitive to sun damage. Be sure to wear plenty of sunblock and wear sunglasses and hats to protect your eyes. 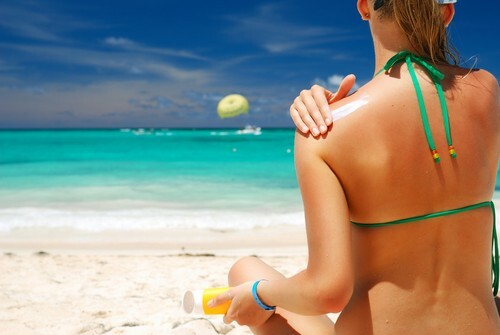 The best protection for your skin is covering and shades, rather than just using sunblock. We all know the importance of staying hydrated, but did you know that omega 3 is key to keeping your skin staying supple and hydrated when exposed to the sun? It also prevents your skin from developing wrinkles and irritation (such as redness). Foods such as fish and nuts are high in omega-3. You can also take fish oil or cod liver oil supplements. Whether you are going to a different state, or traveling abroad to a foreign country, part of the experience is enjoying good food. I’ve often discovered during my travels that the best food experiences are often at a place least expected. 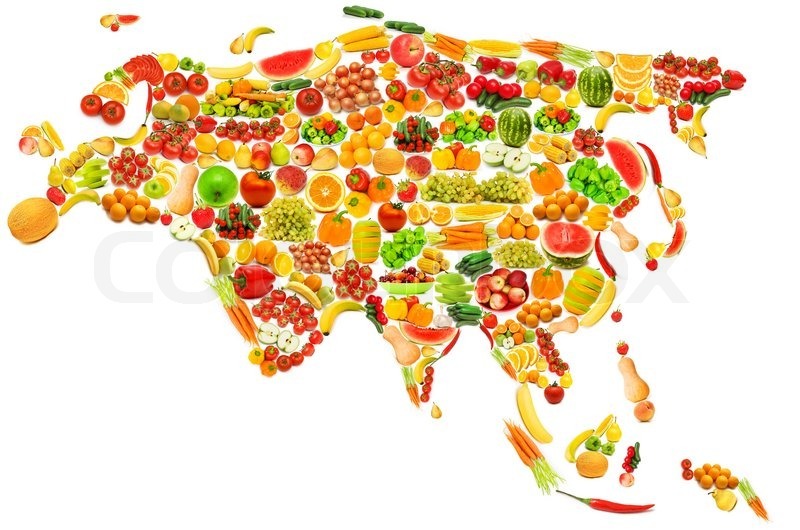 The first key to eating well in a foreign land is to find out what foods are local, what are in season, and from where they are sourced. This will guarantee the freshness of the ingredients, but help you figure out what foods to avoid. Ask your cab driver or people working at the place you are staying, what is grown in the region or do some research online (wiki is really helpful). Pack snacks. When I am hungry, I get grumpy. I often lose self control and grab the first food item I can find, then regret my decisions afterwards. The best way to prevent that is to always have snacks on hand, so I can stay calm and sustain myself until I can find the foods I want to eat. Go for local mom-and-pop eateries. We often have a very idealist view of where to find that perfect restaurant: it should be on top of a cliff, overlooking the water, or it should be inside an architecturally interesting building. The best meals, I’ve discovered, are often in the middle of a strip mall or in a very generic, ugly stucco building. (I assume the commonality for these places is combination of cheap rent, and easy access for locals). Because the owner is often also the chef, food at local mom-and-pop places are usually authentic home-made style, prepared with lots of love. Don’t be afraid to order off-menu. Unless you are at a chain restaurant, most chefs would be happy to prepare off-the- menu items at your request. Recently, I was in a rural town in Kansas. 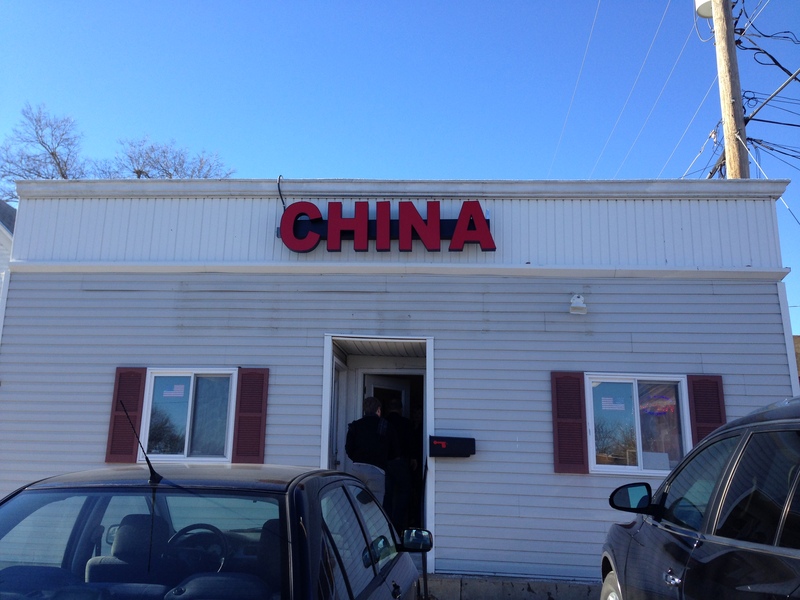 The only restaurant around was a Chinese place called “CHINA”. As if the name itself wasn’t a dead give-away of the authenticity of the food, the place was full of local farmers eating their $6 lunch buffet consisting of egg rolls, watered down hot-and-sour soup, and few beef dishes drenched in heavy sauce. I knew immediately there was nothing on the menu that would be remotely appetizing for me. So I spoke to the server who was also the daughter of the owner, to find out if they had any fresh produce in stock. The daughter told me the only thing they had was green beans. So I asked them if they could just do a light sautee of green beans with garlic and pepper. The chef was more than happy to oblige and later came to see how I liked my dish. Often, the reason something is not on the menu is not due to lack of availability, but is because they assume the customers won’t be “interested” in ordering such a dish. What kind of travel wisdom have you obtained during your travel? Feel free to share! 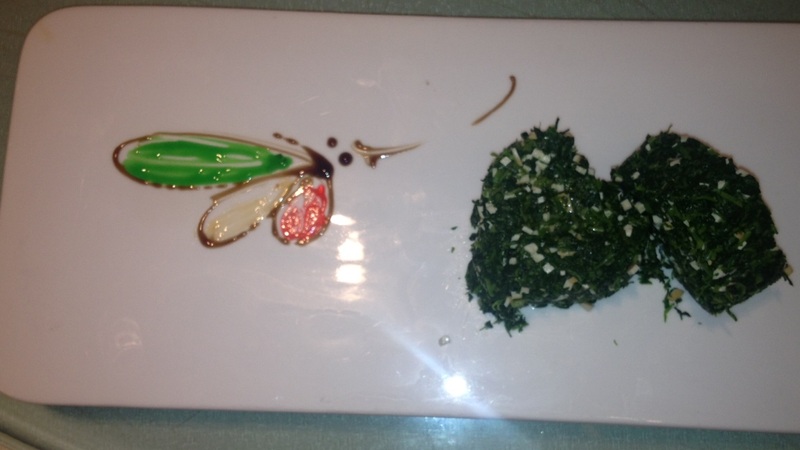 My recent trip to Japan inspired me to make a sesame seed based pesto. Modern Japanese cuisine has a lot of American influences, and one of the dishes prevalent in restaurants, even in 7-11 type of convenient stores, is pasta. However, they often mix Italian-American ingredients with familiar Japanese flavors. Pesto is traditionally made with basil and pine nuts, but I added a Japanese twist to it by substituting the pine nuts with sesame seeds. The aroma and flavor of the sesame seeds are really powerful, and can do a lot to change the taste of a dish. Asian culture not only prizes sesame seeds for their taste and aroma, but also for their medicinal properties, especially for the treatment and prevention of hypertension, hyperlipidemia and cancer. Sesame contains two substances, called sesamin and sesamolin, that belong to a group of fibers called lignans. Studies show that lignans have a cholesterol-lowering effect in humans. Sesamin also protects the liver from oxidative damage. Current scientific studies also demonstrate that sesame oil is a powerful source of antioxidants and has the potential to protect cells from cancer-causing environmental damages. In addition, sesame seeds are a great source of calcium, manganese and iron. See here for more of their nutritional benefits. A great way to incorporate these amazing super-seeds into your diet is by using them to make a sauce, spread or marinade. 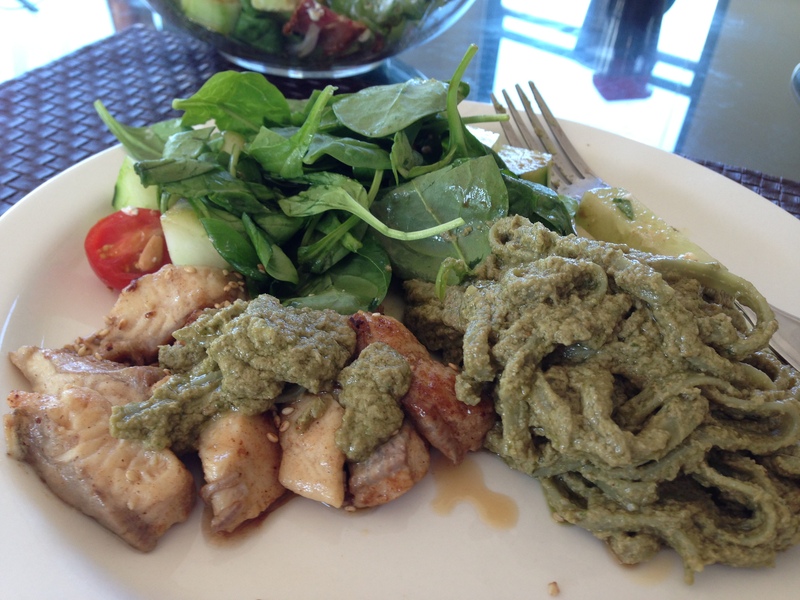 You can refer to my pesto entry for more ideas. Shanghai Cuisine: A Culinary Tour! I’ve spent about 5 days in Shanghai visiting sites and seeing extended family. Food is a very central part of Chinese culture, and this is particularly true of Shanghai, a city renowned for its delicacies and street fare like Xiao Long Bao (soup dumplings). Food is everywhere and at the heart of every event. During my stay, I’ve encountered a uniquely Shanghainese ingredient that was particularly memorable. This vegetable is a member of the mustard family common in Shanghai cuisine. It is often prepared as a stand-alone dish, added into stir-fry, or used as part of wonton fillings. One common dish in Shanghai is a cold plate of shepherd’s-purse cooked with flavored tofu and sesame seeds. It is very light yet very flavorful. Medicinally, dried tincture of shepherd’s-purse is also used to stop bleeding and hemorrhaging. Since it is known to help with muscle contraction, shepherd’s-purse is used to help those with low blood pressure and heart failure as well. Next time when you are traveling or at a Chinese restaurant, see if you can find a dish with shepherd’s-purse and give it a try. I hope you’re as delighted by it as I was. I recently came back from vacationing in The Bahamas and I fell in love with the local cuisine! The fresh fruit, vegetables and seafood made my vacation a Pescatarain heaven! Aside from the crystal clear ocean with white sand beaches, their food would draw me back for more. Below are some simple, fresh, local, Bahamaian ingredients. They should be on your must-try food list when you are in The Bahamas. This evergreen fruit are all over The Bahamas. They are commonly grown in the Caribbean and Latin America. They look like a big kiwi fruit with bigger thorns on the skin. Nutritionally, soursop is low in sodium,while rich in fiber, vitamin C, magnesium and potassium. It also have good amount of vitamin B1 and B3. The fruit also have some purported anti-cancer benefits. See link for detailed nutritional info. Sweet with a slight tangy taste, you can enjoy them as a refreshing drink or simply dig into the juicy fruit raw. In The Bahamas, I see a lot of them served as a sorbet (my favorite way to eat the fruit). Another popular food in The Bahamas are the Stone Crab Claws. These crabs are sustainable (according to NOAA FishWatch) and can regenerate their claws. Fishermen usually take one claw from the crab while returning the crab back into the water for them to regenerate. They are harvested fresh from October to May, but are readily available frozen at most local restaurants all season long. 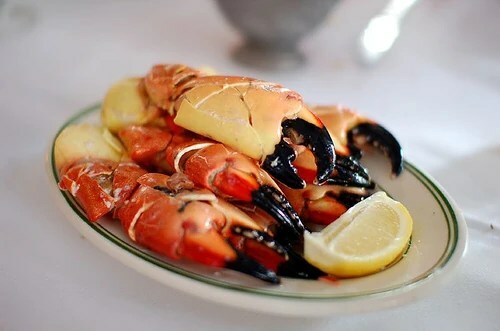 Stone Crab claws have a sweet taste, very meaty compared to other types of crabs. You can enjoy the claws cold (with a little bit of a tangy sauce) or warm with some butter and lemon. Nutritionally, they are a good source of protein, vitamin B6, selenium, and magnesium. Another delicious food that is popular in The Bahamas is the grouper. While there are a lot of different variety of groupers, The Bahamas have a type of local grouper called Nassau grouper, common throughout most parts of the Caribbean. Groupers are large fish and a good source of protein and omega 3. It is also rich in vitamin B6, B12, folate, magnesisum, potassium and selenium. See here for detailed nutrition info.